Jacksonville, Florida, September 20, 2016	(Newswire.com) - The Owners’ Counsel of America is pleased to announce that Joseph P. Suntum, will speak at the 13th Annual Brigham-Kanner Property Rights Conference in The Hague this October. 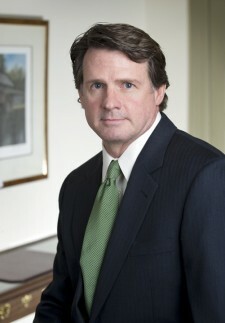 A partner at Rockville-based Miller, Miller & Canby, Chartered, Suntum is the Maryland representative of Owners’ Counsel of America, a national association of eminent domain lawyers dedicated to representing property owners in condemnation, inverse condemnation and property rights matters. A former Assistant Public Defender for Montgomery County, Joseph Suntum has achieved significant success over the last 20 years representing property owners throughout Maryland and the District of Columbia in condemnation and land valuation litigation. Decades of trial experience coupled with an intimate knowledge of the law of eminent domain and the science of real property valuation, have equipped him to vigorously defend his clients' private property rights and secure just compensation in condemnation proceedings. In addition to eminent domain and property rights defense, he practices in the areas of real estate litigation, complex business litigation and appellate advocacy. In 2016, Miller, Miller & Canby celebrates 70 years of serving the legal needs of metropolitan Washington, DC. As the oldest law firm in Montgomery County, MD, the firm recognizes that this milestone reflects the relationships built and maintained with our clients, friends and the business community, many spanning multiple generations. The firm focuses on five core areas of practice: Land Development, Real Estate, Litigation, Business and Tax, and Trusts, Estates and Elder Law. The firm has intentionally maintained a moderate size in order to ensure that all attorneys maintain close contact with our clients and have the opportunity to develop and foster trusted, lasting relationships. In all of our practice areas, an overarching concern for quality of product and efficiency of accomplishment assures clients that we strive for true value in legal representation. U.S. News - Best Lawyers has awarded Miller, Miller & Canby a “First-Tier” honor for their Eminent Domain and Condemnation practice. Miller, Miller & Canby is proud to have maintained this standard of service since the firm’s founding in 1946 and continues to abide by this standard every single day. For more information, visit www.millermillercanby.com.